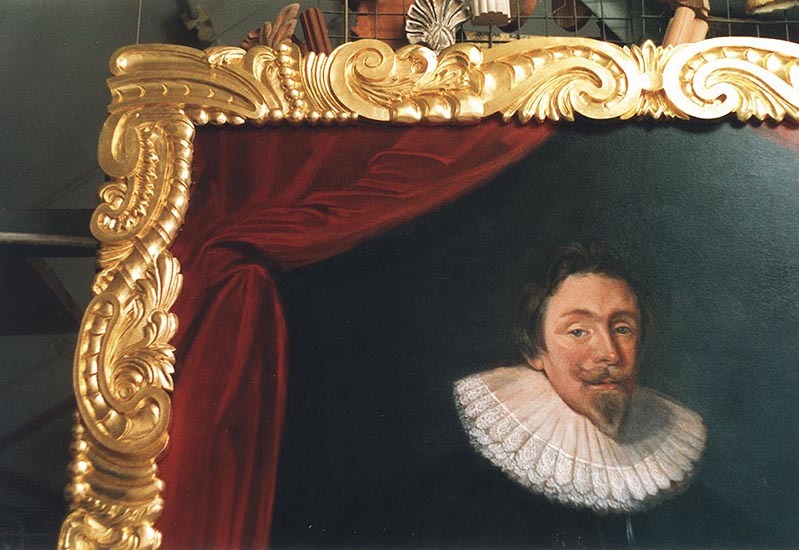 Carved and gilded 17th Century style frame for Lord Baltimore portrait. Pine. This 17th century frame was carved in pine for a reproduction of a portrait of Lord Baltimore, commissioned by the University of Maryland. The design of the frame was made to be as historically accurate to the time of the original portrait.